How is everyone's week going so far? I can't believe it's already Thursday... the week has just flown by! For me, at least haha. If it's been dragging on for you, don't worry! The weekend is almost here. Yee! 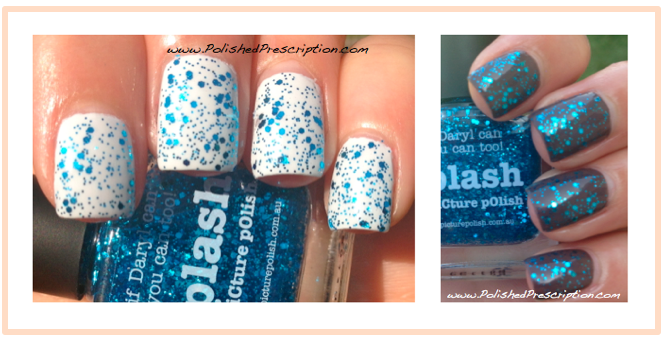 Today I have another gorgeous piCture pOlish glitter topper to show you! I don't know if you've noticed, but I bought quite a few PP shades a few weeks ago when Harlow & Co and Llarowe restocked them. And to be honest, I've been so happy with all of them! PP has quickly become my new favorite brands. I can't wait to try even more of their polishes. Especially the holos, since they do them so well. 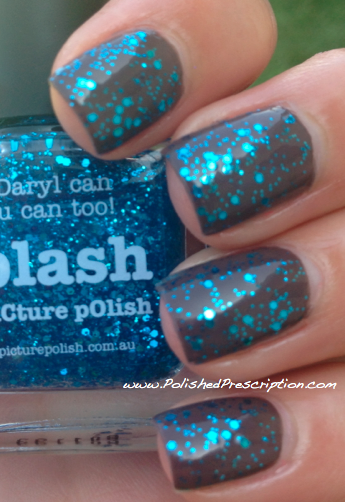 The glitter I have to show you today is called Splash. Click the read more link to see photos and a review! Splash is very similar to the polish I showed you yesterday, Gene Doll. It's made up of two different sized hex glitters - some are teeny tiny while the others are a nice medium size. When I ordered this, I thought it was going to be a straight up blue, but I was pleasantly surprised that it was more of an aqua blue with an ever so slight greenish tinge to it. Because it's more of an aqua and not 100% blue, it didn't seem to go well enough with any of my blue polishes. But that's okay.. because it forced me to be creative! Before I get into the color combos I chose, I want to talk about the formula. It was amazing!! It only took one easy coat to get great glitter payoff on the nail. No fishing or glitter placement necessary! I first paired Splash with OPI You Don't Know Jacques, a dark taupey-brown. I just got this shade, and I love it! It's both chic and edgy at the same time without being loud and in-your-face. 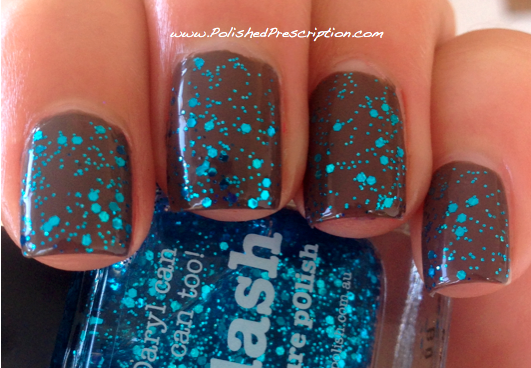 I knew I wanted to pair Splash with a brown-ish color because brown and blue look so good together. 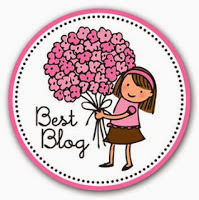 And I loved the result! Pictures really don't do this combination justice, but of course I have to show them to you anyway. Both photos are in the shade, with two coats of OPI You Don't Know Jacques and one coat of Splash. Next I wanted to pair Splash with something completely different... white! I used two coats of OPI My Boyfriend Scales Walls (why are OPI names always so long to type out??) as a base. Then I added one easy coat of Splash. I love this pairing as well! It's much daintier and just as pretty! It really makes the blue glitter pop! So what do you guys think of Splash? Do you like using glitter toppers? I think they're so much fun because they can create so many completely different looks! Splash is so pretty and looks great with a lot of different types of colors, so I'm very happy to have it added to my arsenal of polish. The week has been flying by for me too! But that just means I have to work, haha. I'm with Lisa...all these wonderful pics are making me want to buy some PP. And BLUE...well enough said. :) I love the brown with this. I had a jacket once that was that exact color of brown and it had that exact color of light blue on it...it was so unusual but very striking. I love it over OPI! What a stunning combination!! Wow! I want to try something similar too! Thanks, girl! I always love your color combos!